Peoples Democratic Party (PDP) president Mehbooba Mufti will be sworn in as the first woman Chief Minister of Jammu and Kashmir on 4 April. Union Parliamentary Affairs Minister M Venkaiah Naidu and Minister of State in the Prime Minister's Office (PMO) Jitendra Singh will attend the ceremony. 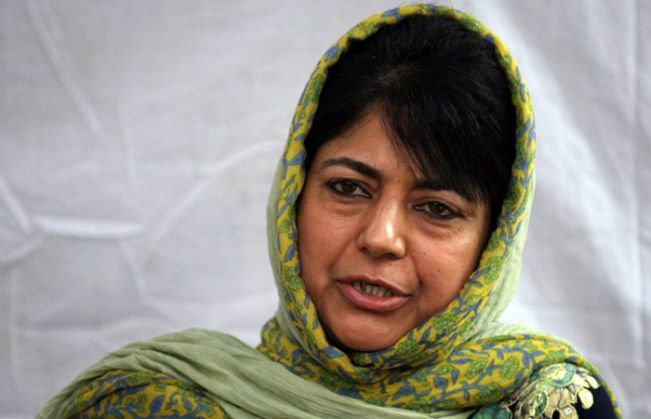 Mehbooba had been seeking assurance from the central government on the implementation of an agenda of alliance and the Common Minimum Programme (CMP) framed by the two parties last year. However, her meeting with Prime Minister Narendra Modi on 22 March ended the over two-month-long stalemate on government formation in the state. Mehbooba had described her meeting with the Prime Minister as being 'positive'. The BJP and the PDP sought to split the number of portfolios. In the previous Cabinet, the PDP had 11 portfolios while the BJP had seven. Jammu and Kashmir was put under Governor's Rule on 8 January, a day after then-chief minister Mufti Muhammad Sayeed passed away. The PDP and the BJP had staked claim for government formation on 26 March, two days after Mehbooba was elected as the PDP's legislature party leader. Mehbooba, had earlier met Governor NN Vohra and staked claim to form the government with the support of 25 MLAs of the BJP. The PDP has 27 MLAs in the 87-member state Assembly.